How to Program Circular Interpolation? Fanuc Circular Interpolation commands (G02, G03 G Codes) are used to move a tool along a circular arc. G02 – Circular Interpolation Clockwise. G03 – Circular Interpolation Anti-Clockwise. 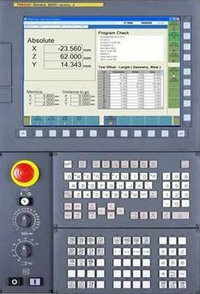 On CNC lathe machines with Fanuc control Clockwise Circular Interpolation (Arc) can be programmed in following ways. 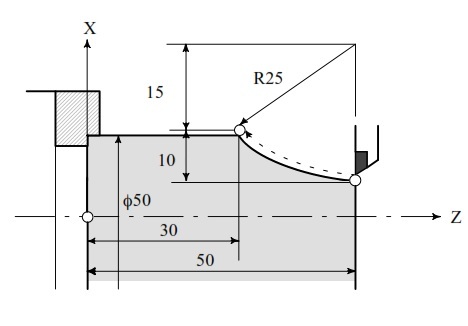 X- Arc end-point in X-axis. Z – Arc end-point in Z-axis. I – Distance from arc-start-point to arc-center-point in X-axis. 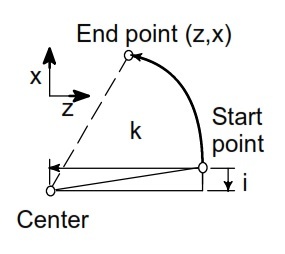 K – Distance from arc-start-point to arc-center-point in Z-axis. The following Fanuc circular interpolation program example is programmed in multiple different ways. CNC programmers/machinists can use G02/G03 X Z R method or G02/G03 X Z I K method if control allows. Now a day CAD and CAM software make our lives just easier and easier, you just not have to calculate a single point in drawing, every thing is just ready….